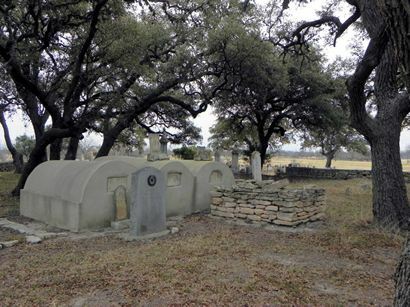 First nonmilitary colony in Uvalde County, founded 1852 by Capt. 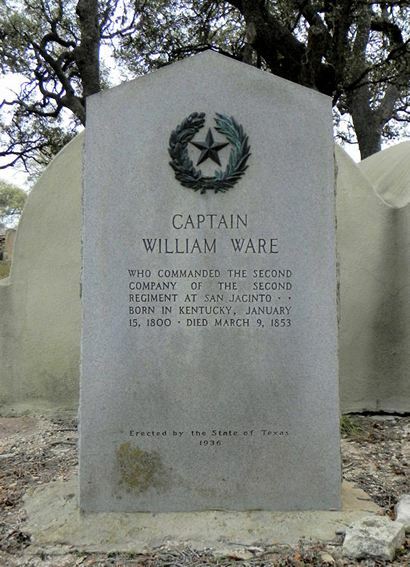 William Ware, veteran of Battle of San Jacinto. Ware built first log cabin home (still standing). Other early settlers included Gideon Thompson, whose wife was first Anglo-American woman in Sabinal Canyon. Colony lost settlers in Indian Raids, 1856-1866. 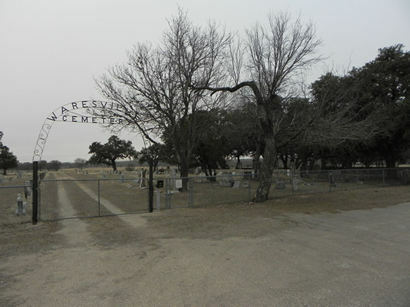 Although the post office moved to Utopia in 1883, still here is the cemetery where Capt. 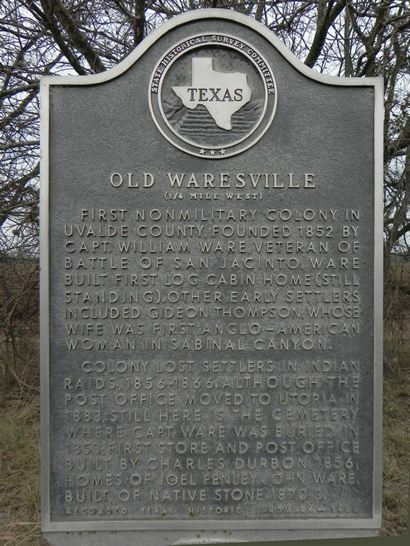 Ware was buried in 1853; first store and post office built by Charles Durbon, 1856; homes of Joel Fenley, John Ware, built of native stone, 1870's. 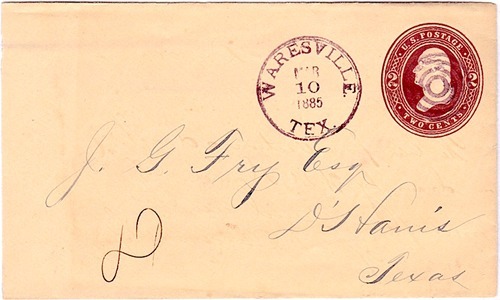 Who commanded the Second Company of the Second Regiment of San Jacinto.. Born in Kentucky, January 15, 1800. Died March 9, 1853.